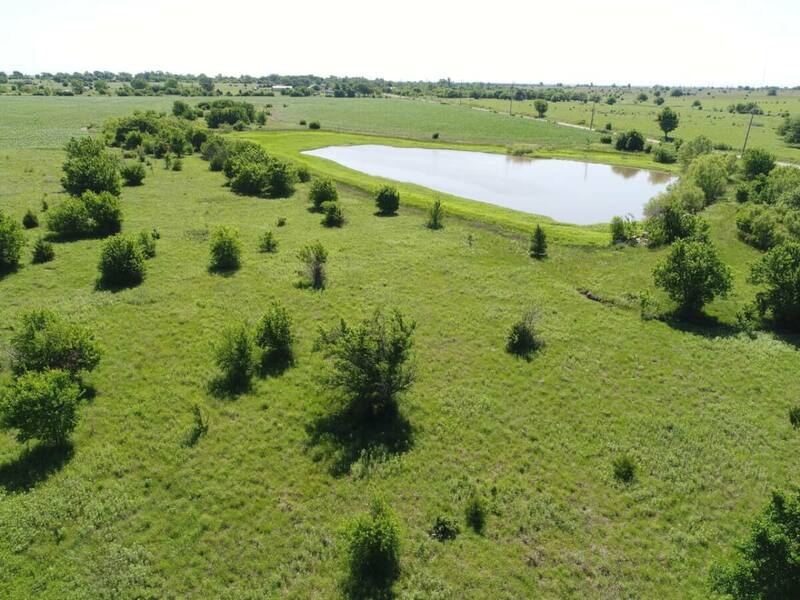 PROPERTY DESCRIPTION: 30+- acres with a large spring fed pond, pasture, timber, and tillable ground currently planted to Corn. Excellent candidate for a future home building site with utilities available. Access is excellent, just 1/2 mile from blacktop HWY 196. Build your dream home on a property that already offers hunting, fishing, and recreation. Enjoy those amenities, plus agriculture income! 2017 REAL ESTATE TAXES: Approximately $72.00. LAND LOCATION: From El Dorado, West on HWY 254 to HWY 196, North to NW 10th St, West 1/2 Mile to the property. LEGAL DESCRIPTION: 30+- acres to be determined by survey in the Southwest Quarter of Section 25, Township 25 South, Range 04 East of the 6th PM, Butler County, Kansas.